We decided to increase rewards for monthly wagering contest, starting with November 2017. As usual, the contest will last for exactly one month, from midnight UTC on the first of the month until the end of the month 23:59 UTC. Any player will be able to buy-in for a chance at these large drawings. We hope you enjoy, and as always, catch the winning spirit! Once again, we’re looking ahead at an upcoming Bitcoin hard-fork and a resulting split of the network. If you haven’t read former contingency plans, we suggest you take a look at our BIP148 contingency plan here, and at our UAHF/Bitcoin Cash contingency plan here, in order to get a better understanding how Crypto-Games handled these splits in the past and what you can expect from this upcoming split. Besides the Bitcoin/Bitcoin Cash split, we have previously managed investors funds during the ETH/ETC split. As a service, this will be the third time we distribute coins resulting from a chain split to our users. We will disable Bitcoin deposits and withdrawals in the early morning hours of October 25th, once we’re getting closer to the forking block. Afterwards, a full snapshot of user balances will be created (including both active game balance and their investments at the time of the snapshot). All users who have a total balance of over 0.01 BTC at the time of the snapshot (either as active game balance, as bankroll investment, or as a combination of both) will be eligible to claim their BTG. Crypto-Games will only allow withdrawals of BTG; we do not plan to support the new chain in any other way, meaning that you will not be able to deposit BTG, and you will not be able to bet with the BTG you are eligible to due to holding BTC on Crypto-Games during the split. Unlike last time, the fork is expected to go smoothly on October 25th. There’s no disruption of the Bitcoin network (legacy chain) expected this time, as similar events to what BIP148 could have caused on August 1st don’t exist this time. Once the fork has taken place, and we have verified that there has been no disruption on the BTC chain, transactions will quickly resume. This is probably going to happen on the same day as the split. Should there be any unexpected changes or disruptions, we will do our best to keep everyone informed about those. Please monitor our chat, as well as the news ribbon on the site during that day, to make sure you don’t miss anything. A short time after the fork, we will publish a site update including an interface where users can set their BTG addresses they want to use to claim their coins. The time limit for this claim will be exactly 3 weeks after the fork, meaning that all users have to set their BTG addresses before November 15th. Afterwards, no further addresses will be accepted and outstanding distributions will be lost due to the user failing to meet the deadline. This deadline is final, so please make sure you’ve set your address prior to this date. An in-detail explanation of the claiming process with further information about the BTG distribution will be published on our blog shortly after the fork, once the update has been published. Due to the complexity of the distribution and the huge amount of users to consider, it may take few days for the BTG distribution to start. update November 11th: We are still waiting for the BTG team to release a stable wallet and a public blockchain. Withdrawals will be delayed until then. Users will have 3 weeks to set their BTG walled address, after we publish a site update including an interface where users can set their BTG addresses. If you’ve got further questions regarding either the general situation around the Bitcoin network considering this chain-split, or the specific handling of the split by Crypto-Games, feel free to get in touch with us. You can either do this in our chat (look out for our moderating staff, they are briefed on the situation and should be able to give you answers), in our bitcointalk thread (which can be found here) or directly via mail to support@crypto-games.net, where we will assist you to the best of our abilities. Only few millions bets left! Greetings fellow gamblers! We are thrilled to say that we are one of the biggest crypto-gambling communities out there. We started as a minnow with a very small userbase, but thanks to our hard-working team who dedicated their precious time to developing one of the best crypto casinos, we have managed to become a whale and can no longer be considered a minnow. We now proudly stand as one of the best casino with a very strong userbase. Our community is getting stronger and expanding swiftly with new users joining every day. As days go by and new users join, we are relentlessly working by adding more features to make your experience more pleasant and sweet. From this month onwards, we have decided to update our blog with additional monthly summarization of activities that have taken place along with a small preview of future updates. September has been a really crazy month for us! Around 92,100,000 bets have been placed during the last month, which is an average of 3 million bets per day, quite amazing. Currently we have a grand total of 1,678,000,000 bets played since the beginning, and expecting to hit the 2,000,000,000 (two billion) mark within the next three months. Considering the value of all coins in BTC, a total of 151,767 BTC* has been wagered, which is currently worth around 655,977,951 USD! Stunning, isn’t it? Not just the wagers, our bankroll is also steadily growing, thanks to the investors whose trusts we have managed to gain through our strong dedication and strict security. All credit goes to the them for whom we can openly boast of being the largest crowdfunded casino! Currently our bankroll holds a total of around $15,378,636 USD which is approximately 3,558 BTC. All our investors are currently very pleased. We have heard no objections from them yet and we are hoping to receive none in the near future. Investors are always our top priority, and whenever any updates are given where the bankroll might get affected, the investors are alerted before the updates are rolled on. 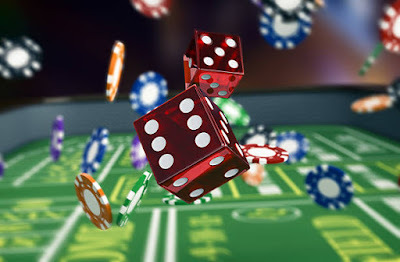 Dice betting has been a hit since the very beginning of crypto-casinos. Last month approximately 89,990,000 bets has been placed on dice alone, which compromises of 97.7% of all bets, only 2.3% of bets were played on other games. 2,580 BTC has been wagered and users have won around 1,084 BTC. Ethereum is also running on its own pace, with 64,075 ETH being wagered and users winning 15,550 ETH. Dogecoin had a very impressive volume with around 429,768,633 DOGE being wagered, almost half a billion. An average of 16 million dogecoins are being wagered on each day. Players managed to win around 138,892,062 DOGE. Stratis, which has been added on August 29th, is the second most coin played on dice and has greatly exceeded our expectation. 8,643,293 bets have been made on dice using Stratis. A total of 182,272 STRAT have been wagered since then, with 177,215 STRAT being wagered last month. 52,630 STRAT were won by users. Bitcoins baby brother, Litecoin, is being moderately used by users with a total wager of 19,815 LTC in the last 30 days, with users making around 6,816 LTC in profit. A brief statistic of other coins can be seen on the table below. The current jackpot is around 3 BTC, 16.3 DASH, 2,429,956 DOGE, 100 ETH, 100 LTC, 13,397 GRC, 414 PPC, 115 STRAT and 10.7 XMR! Only two jackpots were hit last month. Tyquan087 managed to hit a XMR jackpot and won 1% (0.107 XMR) of the total pot. Birny926 managed to bag in 2,424,850.99826212 PLAY and was the last jackpot hit since. We can expect to see another jackpot being hit anytime soon. Hostage was able to hit the jackpot on slots and managed to jump up his profit by 200 STRAT, with just betting 0.2 STRAT! Cart007 was also lucky enough to hit the jackpot and won 99.9 STRAT by risking 0.1 STRAT! Start playing slots now and you could be the next lucky winner! Last month 6 users were lucky enough to hit a Royal Flush. Guyon760 managed to win 35.92 LTC by betting only 0.072 LTC. The same user was again extremely lucky to hit another Royal Flush a few days later, but this time he won a whopping 71.85 LTC by just betting 0.144 LTC! Guyon760 was not only lucky with LTC, he made a 149.7 STRAT profit by simply flopping one more Royal Flush while betting only 0.3 STRAT. Another lucky user called Nunyabidniz was able to win 0.1497BTC by betting 0.0003 BTC and getting a Royal Flush aswell! 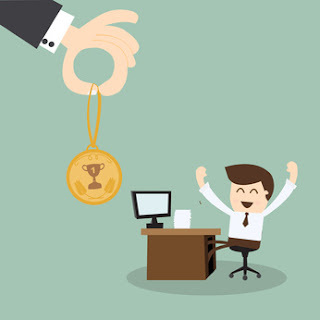 Last month only one user Boomer was successful enough to get the Max Hit multiplier of x650 and won 0.00649BTC! September was a wild month with some strong competitors, but alas, only the top ten were able to make it and get greatly rewarded! You are randomly playing at crypto-games and then you see a user get very lucky. Does it occur to you that it would have been better if you have placed the bet and got lucky? User Guyon760 ended up getting 3 royal flush back to back in few days within a month! He made a total profit of 150 Strat and 106 LTC by risking only few cents! Now we know who is to be blamed for being “unlucky”. Marl568 took the wagering contest too seriously and made sure no one was able to beat him by wagering an astonishing amount of 55,530 ETH! We all know who the winner is now. As his/her username states, EverLucky was lucky enough to win the Ethereum Lottery Round 67 with just 50 tickets, that gave them around 2.9% chance of winning. The user won 3.42 ETH by just buying 0.1250 ETH worth of tickets! Cuelino478 started with a 1 BTC bet and lost it. He wanted to cover his loss and make a profit. So, he doubled his initial wager to 2 BTC and lost it again! Made another 2 BTC bet, but unfortunately, he lost it all again. Such bad luck. This time, no doubt he was so very annoyed that he ended up betting 20.6 BTC with a x1.3 payout and he won! He probably googled how to tie a noose before he made that bet - I would if I was him. Remember you "gotta risk it to get the biscuit!" The Voucher Codes: Last month we introduced redeemable voucher codes! Voucher codes can be redeemed by going to “your account” -> “rewards” -> “vouchers”. Currently only we can generate the codes. Right now voucher codes will be used for giveaways and/or contests. Keep an eye on the chatbox or the official Bitcointalk thread and all social media channels for some free vouchers. Also, join us on discord for some exclusive vouchers. 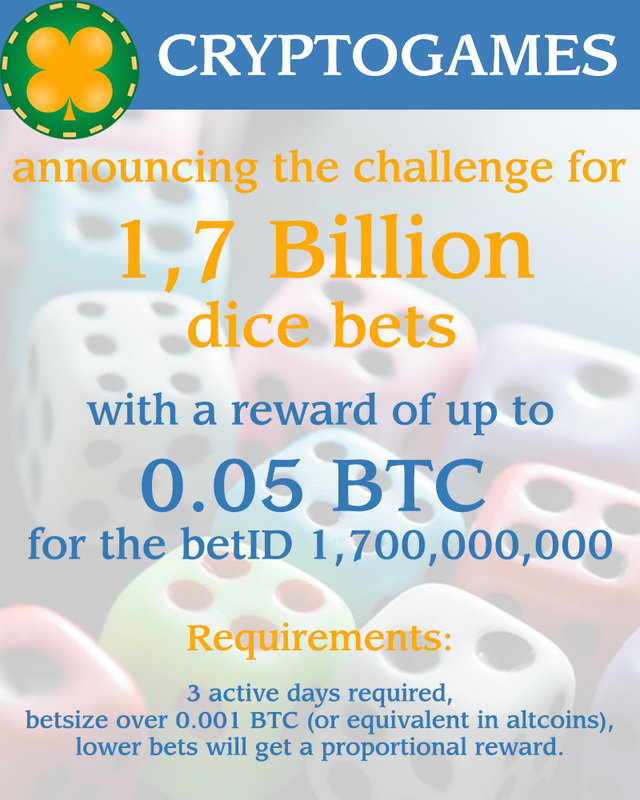 Jackpot: As a way of showing gratitude towards our users, we have decided to manually increase the dice jackpot to 3 BTC, 100 ETH and 100 LTC! Now is the perfect time to go for some jackpot hunting, we wish you all good luck.